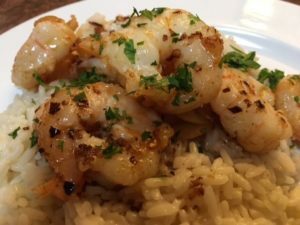 I adapted this “Shrimp Scampi” recipe from a video I recently saw on Bon Appetite. I reminded me of the “fancy food” of my youth-I used to love this when I was a teenager…what’s not to love? 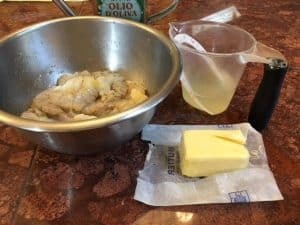 Butter and garlic. 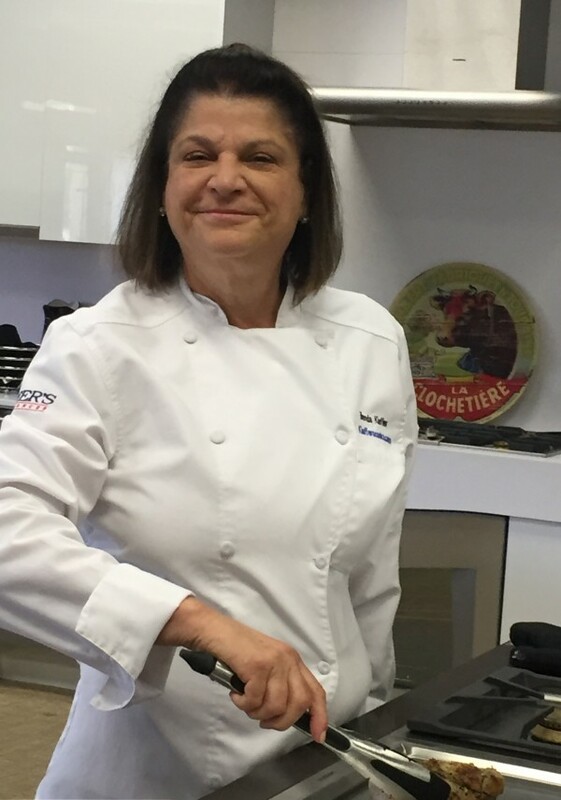 What blew me away ‘tho was the culinary professional who was on the video’s (and everyone else in the Bon Appetite test kitchen) lack of understanding that “scampi” is the Italian word for shrimp, so this recipe is called “Shrimp Shrimp” on the video. Let’s you and I just call it “Scampi”. Simple, quick and dependent on a few fresh quality ingredients. So buy the best shrimp and butter you can find and serve with plain rice, a string pasta and/or bread to soak up all the buttery goodness. Combine the grated garlic, salt and 1 TBL. olive oil with the cleaned shrimp in a bowl. Refrigerate for 30 minutes-1 hour. Heat remaining 2 TBL. 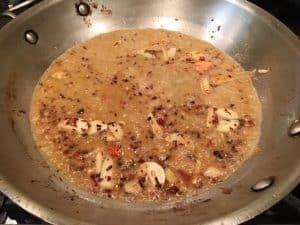 of oil in a large skillet (you want to be able to fit the shrimp in a single layer) and add the shrimp. Cook until the shrimp has lost it translucence, but is a bit undercooked-maybe a minutes per side, depending on the size of the shrimp and how hot the pan is. Be careful, not to burn the garlic. 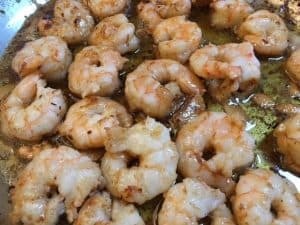 Immediately transfer the cooked shrimp to a clean bowl, leaving as much oil in the pan as you can. Add the sliced garlic and red pepper and stir around about one minute. Adjust the heat to ensure the garlic only browns lightly. Add the wine and the lemon juice and cook, stirring occasionally until reduced by half. Add the butter and SWIRL the pan until the butter is melted and has formed a thin sauce-about 5 minutes-over medium heat. 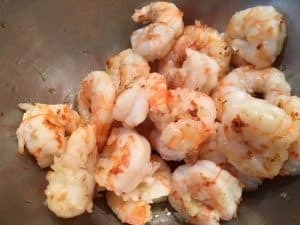 Add the shrimp along with any juices back into the pan and toss to coat and finish cooking the shrimp-about 2 minutes. Not a diet or first date dish for certain…but what a way to go!